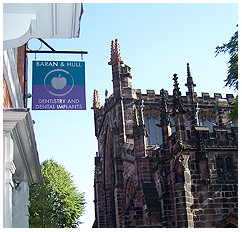 I have been with the practice for over 16 years and enjoy working as part of a small but well-oiled team. My main interests include maintaining our very high levels of cross infection control and coordinating the Implant department at the practice. My hobbies are walking my dog Diesel and spending time with family and friends.